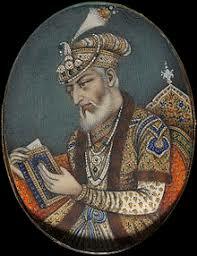 The Quiz is meant to test a 7th grade student's knowledge of Aurangzeb Almgir, a Mughal Emperor of India. Aurangzeb has been one among the few Muslim rulers that may truly be called pious by independent historians. He has been the most successful ruler of India, among all others be them Muslims or Hindus. We read about the stupendous, luxurious, glamorous, fascinating and sluggish lifestyle of the Muslim rulers of India, yet the shining stars like Aurangzeb are often deliberately neglected by the prejudiced historians. The character of Aurangzeb Alamgir draws awe and respect when the objective historians reveal his charming personality, pious character and just rule. Why won’t we respect a ruler that shunned the life of luxury, sewed caps and copied the Quran to maintain his personal expenses expenses? Except prophets, human history isn’t worthwhile reading when we try to find the likes of Aurangzeb Alamgir, the greatest of the Mughal dynasty. The Aurangzeb History Quiz is an attempt to help students test their knowledge about Indian history on the topic of Aurangzeb Alamgir. The real purpose of this quiz is not to assess a student’s knowledge rather it is aimed that the student will try again and again to strengthen the knowledge he has and to learn what he doesn’t know about.